1. Combine all ingredients in a recloseable plastic bag. - Combine 1/3 c of dry mix with 1 1/4 c of cold water. -This is the equivalent of one can of soup. Cook and stir on stove top or in microwave until thickened. 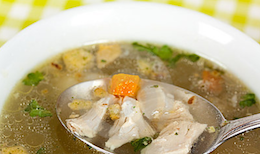 -Add thickened mixture to casseroles as you would a can of soup. Or you can simply just eat it! - It does not have to be refrigerated. Store in closed plastic bag or air-tight container until ready to use. 1. Thoroughly combine brown sugar, horseradish, and mustard. 2. Moisten with just enough cola to make a smooth paste; reserve remaining cola. 3. Rub entire ham with mixture. 4. Place ham in crock-pot and add remaining cola. 5. Cover and cook on low setting for 6 to 8 hours (on high setting for 2 to 4 hours). A 5-lb ham may be used in the 5-quart crock-pot. Place all of the ingredients except beef broth, salt, paprika and tomatoes in a crock pot. 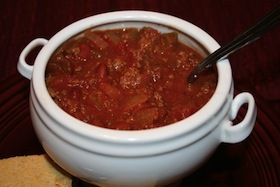 Mix the beef broth, salt, paprika and tomatoes and pour over the top of contents in the crock pot. Cover and cook on a low setting for 8 to 10 hours. 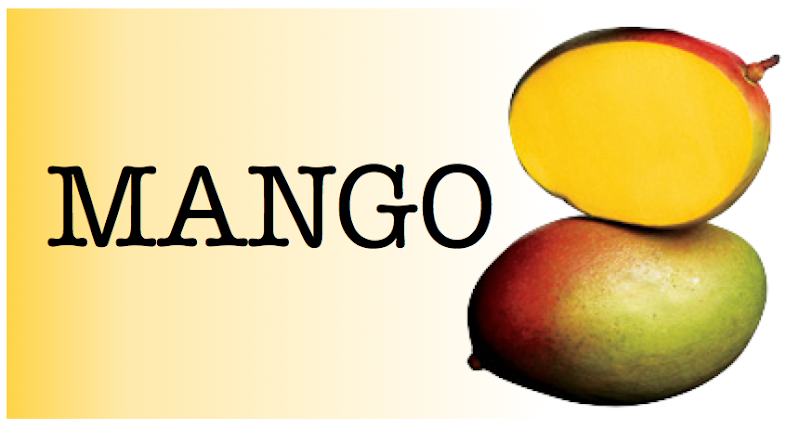 This summer, my mother introduced me to the sweet tangy flavor of mango. I am now most certainly hooked! This dish is a refreshing change from the traditional mexican option. 1. Combine beef and barbecue sauce in slow cooker. Cook on low for 8-10 hours or on high for 6 hours. When done, shred the meat by pulling against the grain of the meat with a fork. 2. To use as a dip, add meat to a serving bowl and layer the mango over the top of the beef mixture, finish off with the cheese and onions. Serve with black corn chips. *add a little tabasco for a little kick (optional)! To make the quesadillas, fill half of the tortilla with the meat, mango, onion, and cheese to liking. Fold over the tortilla and place on an oiled frying pan for 2-3 minutes per side, until the cheese melts. Slow Cooked Beef, this is super easy! Straight from the freezer, and into the slow cooker, place a chunk of beef. Cut an onion and place it on top and around the beef. Peel a whole bulb of garlic and place around the beef. Cover beef with whole mushrooms of your choice. Sprinkle a couple tablespoons of dried thyme over the beef. Pour two cups of water into the bottom of the slow cooker. You can substitue red win instead of water. 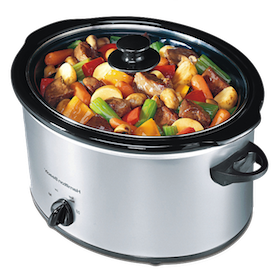 Set slow cooker to low temperature and cook it all day.